Paul Modrowski has been keeping a blog from inside a maximum security prison for years, in spite of the fact that he has never actually seen the internet. Such a cliffhanger. I can't wait for next week! Anyone else a little worried for Sruthi? I got the impression that her weekly calls got sorta intense. Or that she got a little obsessed with the story. Maybe I am just reading into it. Either way I really like Sruthi's storytelling. Also I am curious how he got the blog started. How do you even explain the Internet to someone who has presumably never used it? What is this SERIAL all of a sudden? 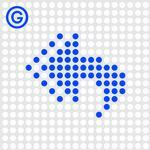 Are all the Gimlet shows going to be Serial themed next week? Sampler will be. I miss StartUp being a window into Gimlet. What I really want is a podcast explaining why we aren't getting more episodes of Mystery Show. I was thinking that, too, radioamy. Fascinating episode but she did seem much more intensely involved than one would expect for just a story. I liked this episode, and appreciate that one interesting story ("how do you publish a blog from jail?") is morphing into another interesting story. But it seemed very odd not to have some explicit nod to Serial. Even just a Mailkimp joke, or some riff on the prison collect call recording, some reference to this other show pretty much 90% of their listeners was obsessed with last year. I thought the piano theme at the end of the episode was an indirect nod to Serial, but there wasn't any explicit call out to it. Anyone else a little worried for Sruthi? Totally. She's not a seasoned enough crime reporter for this - same problem that Serial had. I really don't want Reply All to become Serial, so I'm not a fan of this multipart series. I just love Reply All.